I was looking for the job three years ago, asking about salaries and people from my friend. After less than half an hour the security manager Dagmar called and said to me that she heard about my wish to apply for a job. Since that moment I have been working in Viking. Time has passed fast. 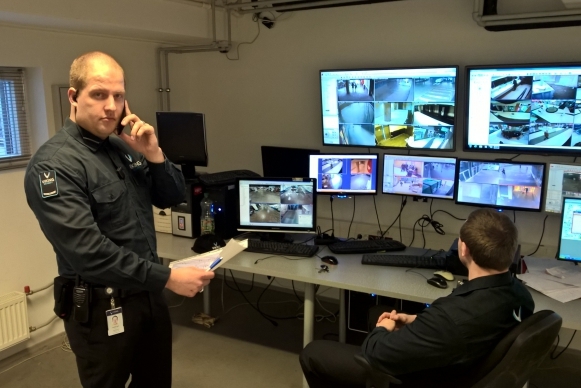 In 2013 I commenced as a security employee in Tartu Kaubamaja. At the end of 2013 I continued as a shift manager and from May 2015 I became the object manager. The security managers take care and stand for their employees. The career opportunities are greater than elsewhere in the security companies. The team in South Estonia district is very caring – like one big family. My everyday tasks involve communication with different people and ensuring secure environment in the shopping centre. I like that my job is multifaceted and I can help people. A man exchanged its broken jacket for new one and was able to escape. We informed security manager about it who accidentally passed him at Paju Street. The security manager detained the man and we gave him over to the police.